Darrell, known as Joseph, is an athletic, funny, and engaging 16 year old. 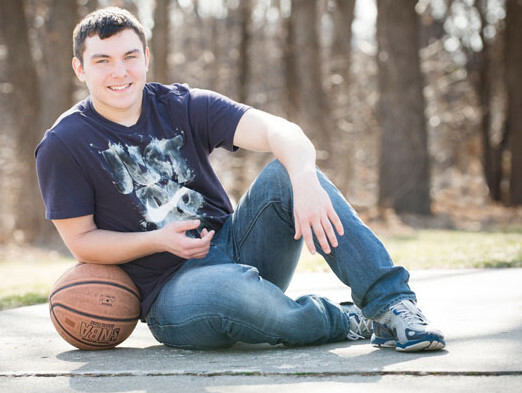 He loves sports and is an active participant on his school’s football, basketball, and weightlifting teams. He recently started working at an after-school job and is enjoying earning his own money! When he’s not at school, practice, or work, Joseph likes hanging out with friends, watching scary movies, and spending time outside. Joseph is not afraid to speak his mind! He has quickly become a leader and a role model among his peers at his current placement and is making great strides there. He is intuitive, good at problem-solving, and has shown he’s able to make positive decisions about his future (although he can be impulsive at times!). When he does make a mistake he has demonstrated that he is able to take responsibility for his actions, regroup, and move on in a positive way. The right family for Joseph will be able to provide unconditional commitment and support. He is open to a variety of family structures, including single parent or two parent households and with or without other kids. He is also open to pets (especially dogs!). Joseph would do best with a family that is active and would encourage his participation in athletics and community activities. Joseph has several important connections with birth family and former foster providers that must be maintained on a regular basis. About Me Darrell, known as Joseph, is an athletic, funny, and engaging 16 year old. He loves sports and is an active participant on his school’s football, basketball, and weightlifting teams. He recently started working at an after-school job and is enjoying earning his own money! When he’s not at school, practice, or work, Joseph likes hanging out with friends, watching scary movies, and spending time outside.